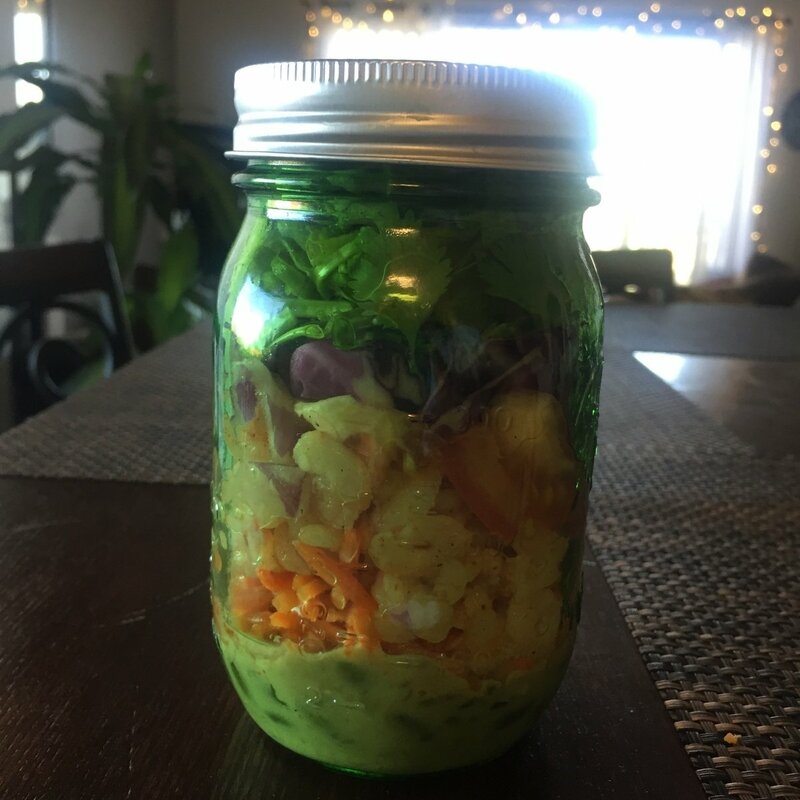 When I discovered jar salads, they revolutionized my lunches: perfect proportions, easily transported, and you can make them in advance and keep them in your fridge until you’re ready to eat them without worrying about wilted greens! Add chopped spinach on top, and seal the jar. When ready to eat, dump the jar out on a plate, and you’ll have a perfect salad with greens on the bottom and dressing on top! Remember that you can substitute any salad ingredients you like! Just make sure you always put the dressing on the bottom, build the salad in reverse order, put some kind of protein in there, and put the greens on top!